Working at a staffing firm, you’re faced with countless decisions that impact the success of your business. But do you have all the insights and information you need to make the best choices? If you don’t have access to your back office or financial data, you might be missing some key inputs. 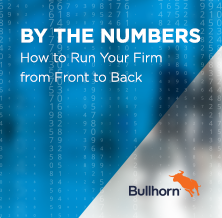 Digging into these activity and financial metrics can influence decisions that will improve your firm’s efficiency and profitability. What is back office data and why does it matter? Do you have all the information you need to succeed? How can you use back office data to run your business better?